Time saver alert! 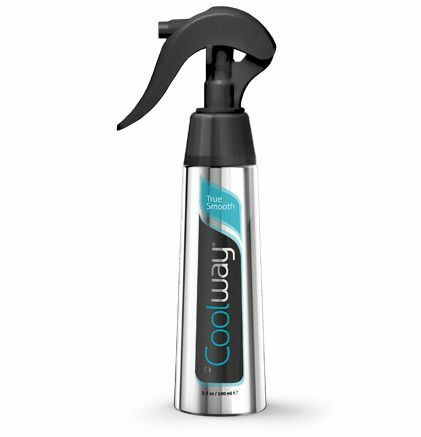 Our friends at Coolway have a fantastic product that will help you look your TrailblazerGirl-best and get outdoors faster. True Smooth is a convenient spray that protects your hair and cuts down on the amount of time that you spend blow drying and straightening your hair. Smooth hair without the use of a flat iron? Yes, you can! Spray True Smooth on towel dried hair, blow dry, and presto, beautiful, straight hair in half the usual amount of time! Their patent-pending, heat-activated AminoLock MAB permeates your hair’s cuticle holding your style without resulting in the heat damage that blow drying and flat irons can cause. Clinical studies have shown that hair is 4 times stronger with a 75% reduction in hair breakage and a 50% reduction in the frizzies with the use of True Smooth. Your hair still has body and movement, just no split ends and dry, brittle hair, only healthy, gorgeous hair! A winning TrailblazerGirl beauty find!